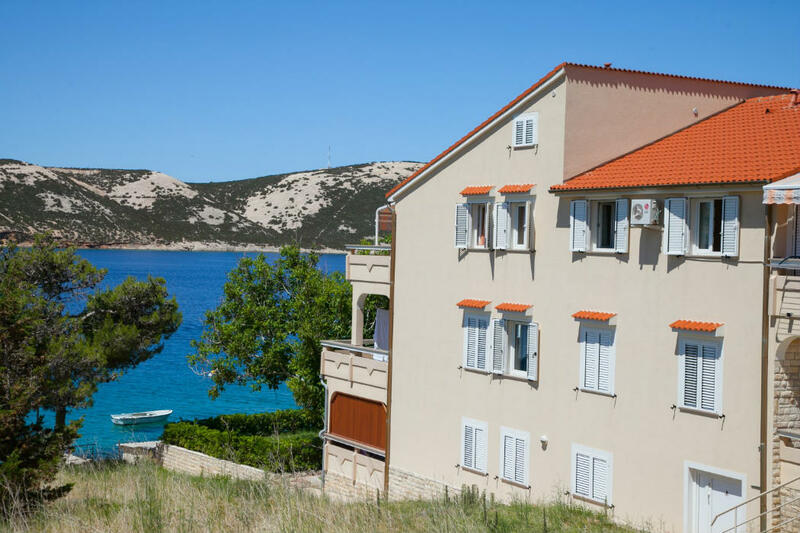 Apartments "Kaštel" is located in a quiet village Mandre, located by the sea with a private beach in front of the building. We can offer you 5 new apartments. Three apartments are located on the first floor (type 2, type 3, tip6+1) and two apartments on the ground floor (type 5, type 2+1) with private terraces surrounded by greenery. All apartments are equipped with air conditioning, satellite / TV, WiFi, and some apartments also have a dishwasher, washing machine and oven in the kitchen. N +44° 35' 19" | E +14° 52' 51"